Two public areas around Anfield's Main Stand have today been confirmed as 96 Avenue and Paisley Square. 96 Avenue is the tree-lined path in front of the Main Stand that links Walton Breck Road high street with nearby Stanley Park. The avenue has been specially designed to reconnect the stadium to the wider community and the park. It is also the area where the Hillsborough memorial will be permanently located ahead of the first home game of the season. Margaret Aspinall, chair of the Hillsborough Family Support Group, said: “We are delighted that this beautiful area in front of the Main Stand will be named in memory of the 96. Paisley Square is located at the corner of the Kop where it meets the Main Stand and has been named in memory of Liverpool’s most successful manager, Bob Paisley. It is an area where fans can gather together before the game to enjoy the Anfield atmosphere. Robert and Graham Paisley, Bob’s sons, said: “It is truly an honour for our father to be recognised in this way and we’re grateful to the club for being involved in this incredible project. 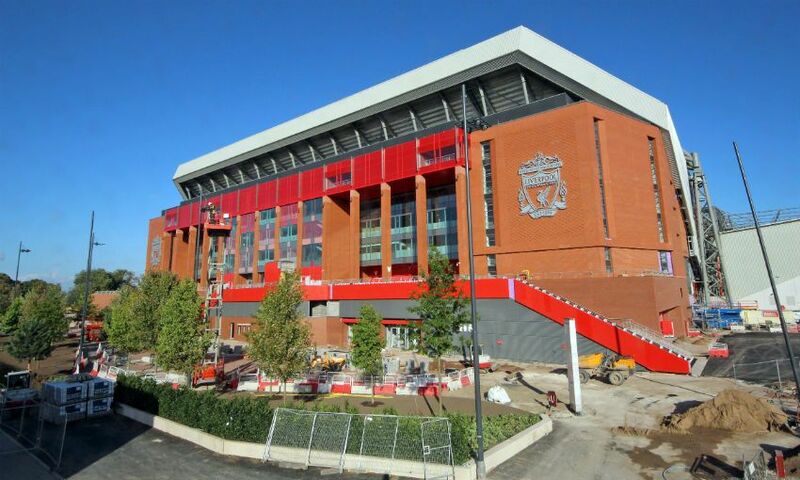 Fans will have the opportunity to see the new 96 Avenue and Paisley Square at Liverpool’s first home match of the season, against Leicester City in the Premier League on Saturday September 10. For all of the latest news on the redeveloped Main Stand, visit our dedicated section.